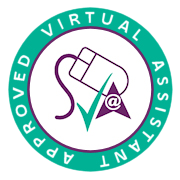 It might seem like a peculiar question, but you’d be surprised at the number of people who don’t know if they in fact NEED a virtual assistant. Of course, there are no set requirements for having a virtual assistant, but there is little point in having one, if you don’t need one. Are you feeling overworked and overwhelmed? Wondering how to fit more hours in the day? You know you need help but aren’t quite sure to know when to hire and how to go about it? Hiring a VA is a big step for a business, but one that few business owners end up regretting…. especially when it’s done at the right time. If you answered yes to any of the above questions, the likelihood is, that a Virtual assistant is who you need. Do you find your days are filled with answering calls, responding to emails, creating spreadsheets and posting on social media? These are all perfect tasks to outsource to a virtual assistant. These are important and necessary tasks but can take up so much time that could be spent finding new clients or working on new ideas for your business. Small and home-based businesses need reliable support while not yet able to hire a permanent employee. Even a single-person operation can use an extra hand. Virtual Assistants are a just-in-time resource you should think about. Try one for a small assignment and see if they balance your load. They can also be there to support you in all sorts of ways, celebrate your successes and help to push a business forward. How often do small business owners neglect themselves, their health and wellbeing? Too often is the answer. In running your own show, you inevitably get drawn into the job more and more and there can be very few times when you genuinely switch off. If you recognise yourself in this then it may be time to get a Virtual Assistant. Making the most of your limited time, also means creating time to switch off, to be with family and friends and to ensure you maintain the energy and drive to succeed. A VA can help maintain your high productivity looking after your business, whilst you look after yourself. Do you constantly feel like there’s something hanging over you? Like you’re never really able to say you’re “done” for the day? You see where I’m going with this…. you’re exactly the kind of person who should be looking to hire a virtual assistant.